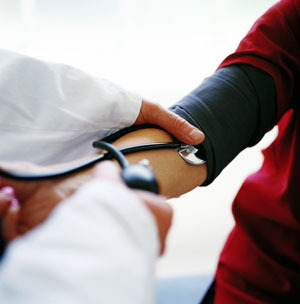 Patients on regular prescriptions for high blood pressure, contraception, HRT should consult the practice nurse for a blood pressure check every 3 - 6 months. Are available to offer advice and skilled nursing care within the community on referral by a GP. The hospital will normally arrange for a district nurse to call after discharge from hospital if nursing care is required. The contraceptive implant is a highly effective method of birth control, the device is about the same size as a matchstick. It is placed just below the skin of your upper arm where it releases the hormone progestin in small doses and prevents your ovaries from releasing eggs but also thickens your cervical mucus making it hard for sperm to move around the womb and fertilize an egg. 99.95% effective, it is suitable for women who want long acting reversible contraception for up to 3 or 5 years and wish to avoid daily, weekly or monthly regimen. It can offer an alternative to those affected by the hormone Estrogen and can be used when breastfeeding six weeks after childbirth. In some women it may reduce heavy and painful periods, in others it may initially cause a change in bleeding patterns. Does not protect against HIV infection and other sexually transmitted infections. The (IUD) intrauterine device - intrauterine meaning inside the uterus. The device immobilises sperm making it hard for them to move around the womb but does not stop the ovaries from making an egg each month. Once inserted it can stay in place in the womb for 5 or 10 years (depending on the type). 99% effective, suitable for women who want long acting reversible contraception and wish to avoid daily, weekly or monthly regimen. It isn't affected by other medications. It can offer an alternative to those affected by the hormone Estrogen and can be used when breastfeeding. Fertility returns to previous levels once the IUD is removed. Small risk of infection at insertion and of expulsion. It may cause cramps and/or irregular bleeding. Does not protect against HIV infection and other sexually transmitted infections. Our Midwife looks after the care of expectant mothers of the Mill Road and Cherry Hinton Surgeries and is part of the Sky Team Midwives. If you have a confirmed pregnancy from taking a test please contact the surgery to make your booking appointment at around 8-10 weeks. Midwives are the main providers of care to women throughout pregnancy, birth and the postnatal period. They take the lead in care in low risk pregnancy and childbirth, which is their area of expertise, making referrals to the appropriate medical professionals if required. Congratulations on your pregnancy and welcome to the Sky Team Midwives. Please make all your own appointments to see the midwife either at your own doctor's surgery or you can see the Sky Team midwives by attending clinics at the Children's Centres below. Where possible please can you make your booking appointment, 16 week and 28 week appointment with the midwife at the Doctors surgery. For your first (booking) appointment please ask for a one hour appointment. The MCA ( Marine and Coastguard Agency) to undertake UK statutory seafarer medical examinations. The examination takes approximately 30 minutes and you will need to bring with you your previous ENG1 certificate, a Discharge Book No. or Passport or other photo ID. If you wear contact lenses please remove them as soon as possible before the examination. You should not have been subjected to any excessive noise( i.e. work environment using heavy machinery or music concert) for at least 24 hrs before attending for examination. Sea service Testimonials e.g. from skippers/the fishing vessel owners/managers, which demonstrate that you have worked regularly as a fisherman. If you are the owner of the vessel, take the registration document for the vessel including fishing vessel number, and your name on the document as the owner. Evidence that you are physically capable and can undertake your role on the vessel. This could be a letter or certification or training course certificates from the operator or owner of the vessel, harbour master of MCA Surveyor. The Freedom of Information Act obliges General Practice to respond to requests for information held by them. The rights of the public to access this information are subject to some exemptions which have to be taken into consideration before deciding what information can be released. Under the Data Protection Act patients are also entitled to access their clinical records and should write to Mrs Heather Harman, Practice Manager. There is a fee of £10 for access to records. Additional fees will be charged if records are to be photocopied up to a maximum of £50. You will be advised of the total fee before we commence copying any records and you will be required to pay this before being given the copies. Please allow 21 days from the access to record payment date. 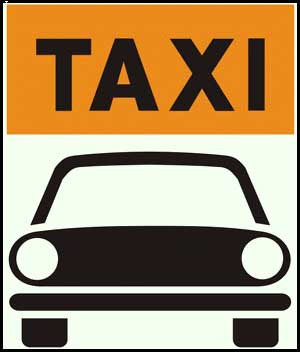 Taxi Medicals can be carried out at the practice by Dr Mark Dourish who is registered with the Council Licensing Department. He can carry out examinations for people applying for a first taxi license and for existing taxi drivers needing to renew their license. The medical is booked into a thirty minute slot. Please bring along your medical questionnaire for completion, you will need to return the completed form to the licensing office. If you have ischemic heart disease (had a heart attack, angina, coronary artery surgery or had a stent inserted) you will need to have a treadmill test every three years to hold a taxi license. Diabetics should be keeping a record of at least twice daily blood sugar testing and be attending for annual review with their GP or specialist. The fee for the medical is £85.00 (cash payment - receipt provided).